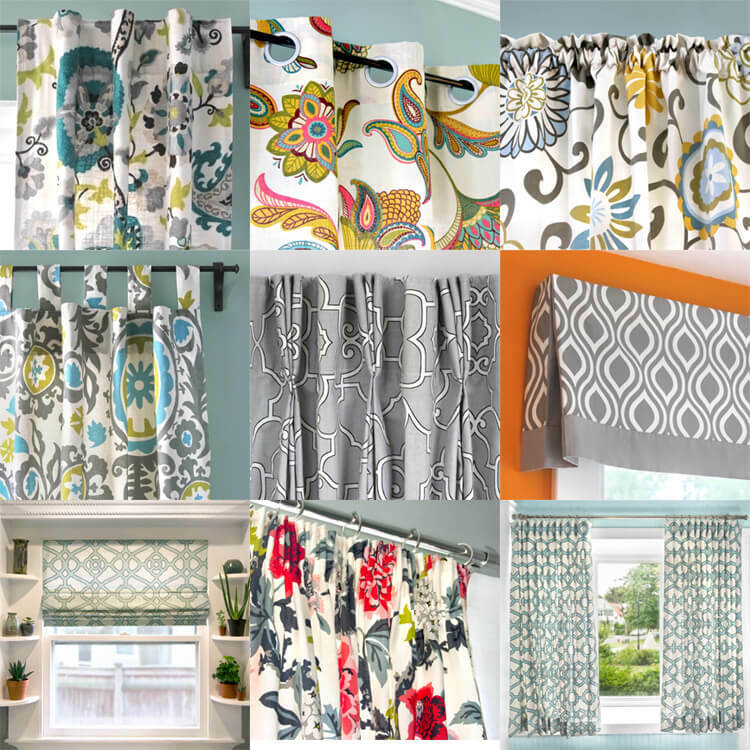 Curtains, drapes, and other window treatments are super popular DIY projects for home décor. We must really love curtains because we have plenty of tutorials. 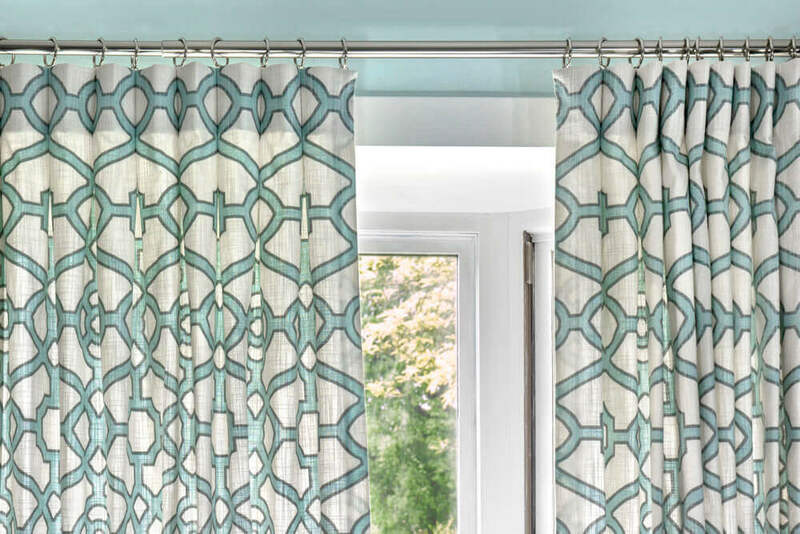 There are so many ways you can make curtains and drapes, and there are so many ways to customize each unique style. 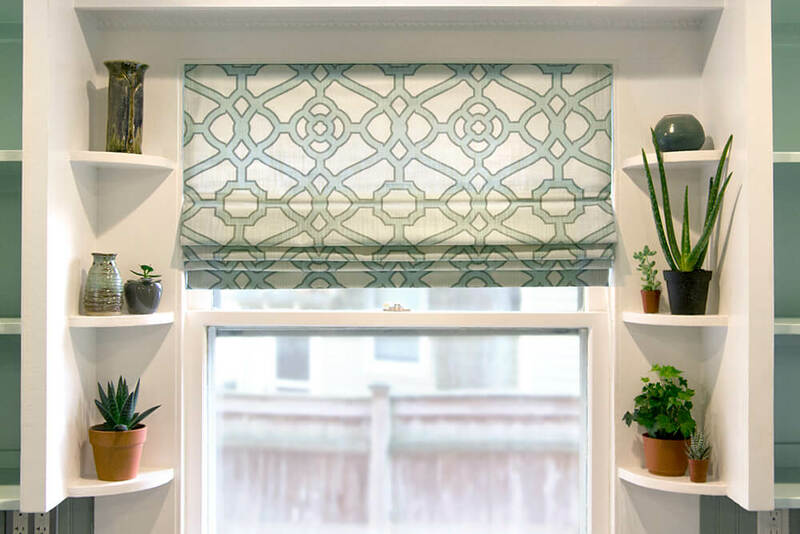 Here’s our collection of tutorials for curtains and window treatments. 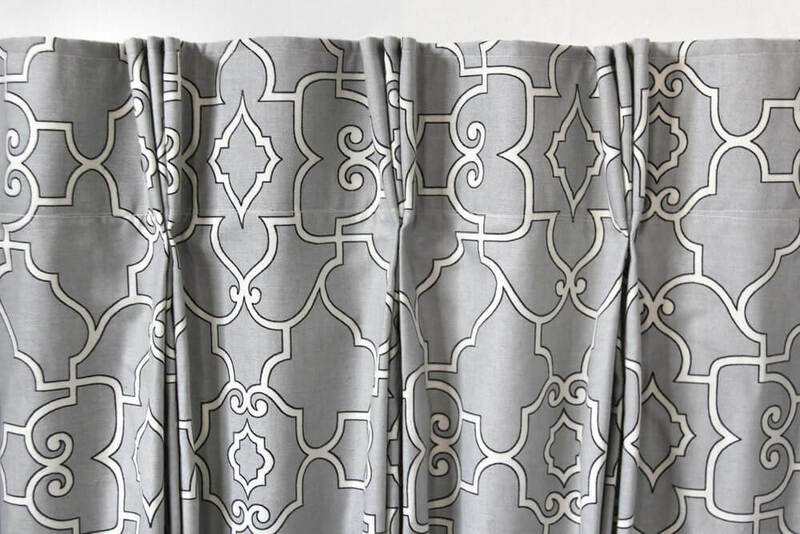 Making your own back tab curtains with the drapery fabric of your choice is a great option, and surprisingly easy. Back tab curtains hang from tabs hidden on the back of the curtain panel. They have a seamless look, top to bottom, that can fit in any style, from modern to traditional. When open, the tabs create pleats that have a nice drape, but aren’t too formal. 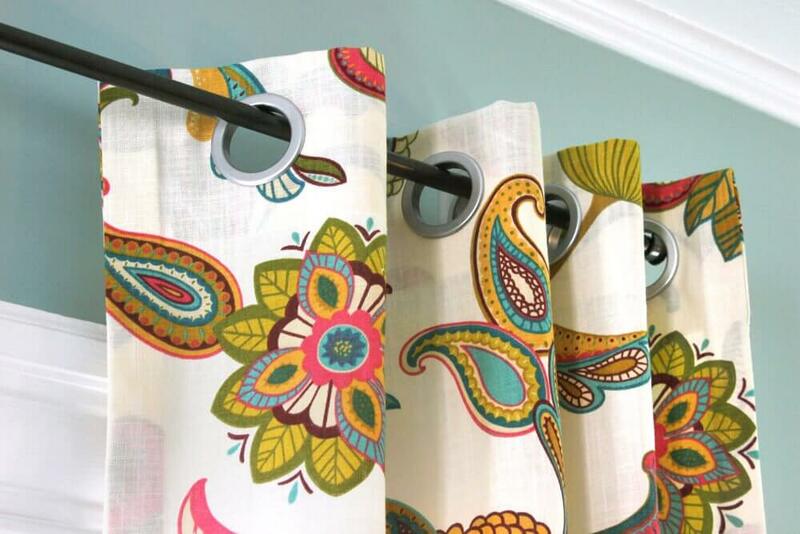 You don’t need a sewing machine to create custom grommet curtains that look polished and professional. 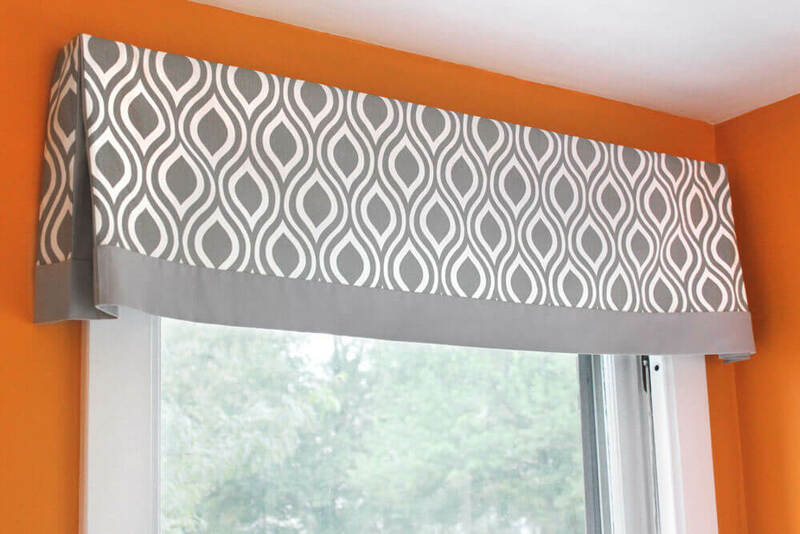 These curtains are a no-sew project using iron-on bonding tape. Or you could just as easily sew the seams if you prefer. 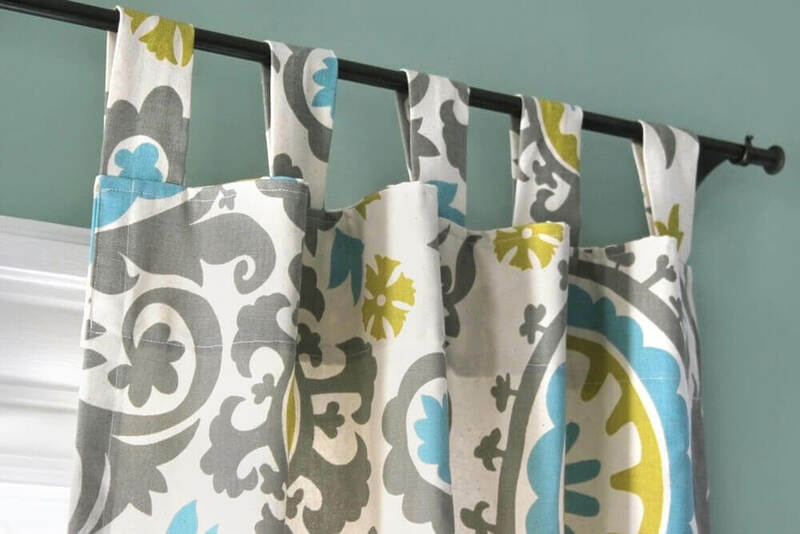 This curtain uses grommet tape and snap-on grommets, making the project even easier. Rod pocket curtains are probably the easiest style of curtain to make. It’s simply a panel of fabric with a tube at the top for the curtain rod to slide through. This tutorial shows how to make an unlined rod pocket curtain, but a lining can be easily added. 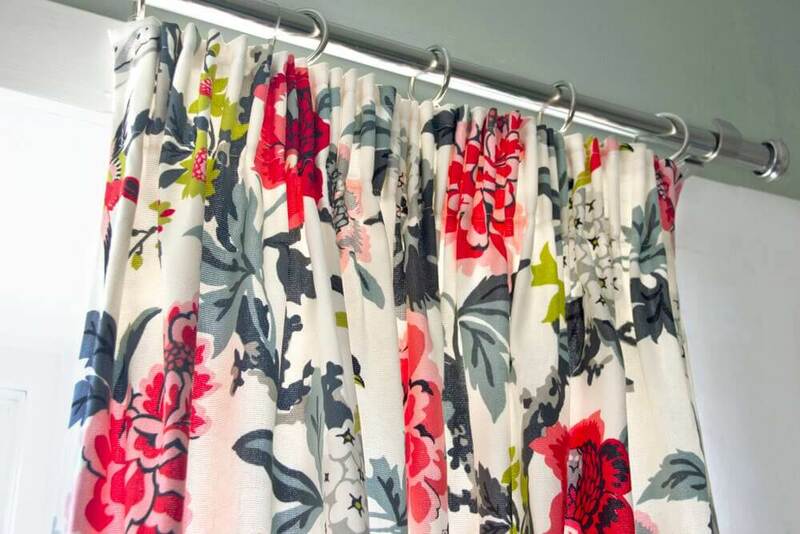 Tab top curtains are similar to rod pocket curtains, but the rod slides through occasional tabs instead of a panel wide pocket. They slide open and closed easily, drape nicely, and tend to have a relaxed, casual feel. If you’re going for a traditional look, pinch pleat curtains, also known as French pleat curtains, are a great option. They may look intimidating, but using pleater tape and hooks makes this project simple for sewers of any level. Learn how to make a no sew valance that has pleats at the corners and an accent band at the bottom. This simple design will go with many décor styles. You can also make variations with box pleats or add decorative trim to make it your own. 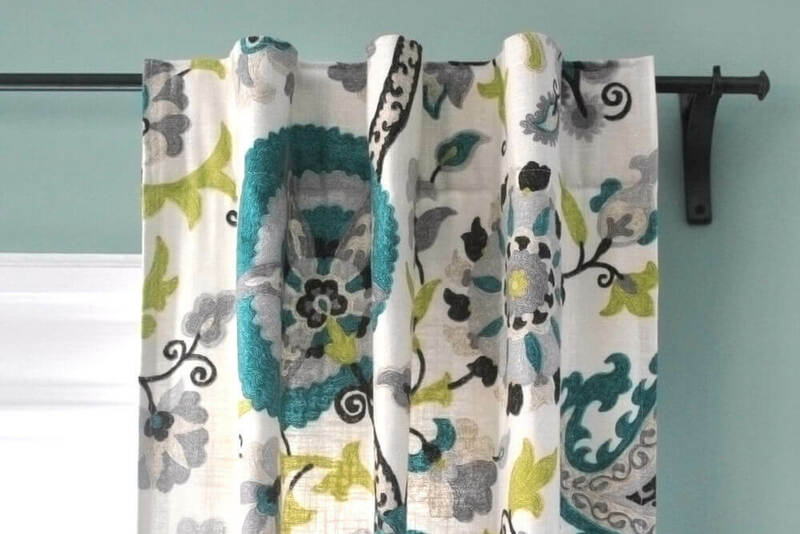 Add this valance to existing curtains, sheers, or blinds, or make matching custom curtains. Feeling a little more ambitious? Try making a roman shade. Roman shades give windows a clean look that goes well with many styles from traditional to modern. There are many ways to make roman shades. With the method shown here, there’s minimal stitching visible on the front. Pencil pleats are thin, even pleats used in drapery headings, valances, and bed skirts. Using shirring tape makes creating these pleats simple. You can control how tight or loose you want the pleats. 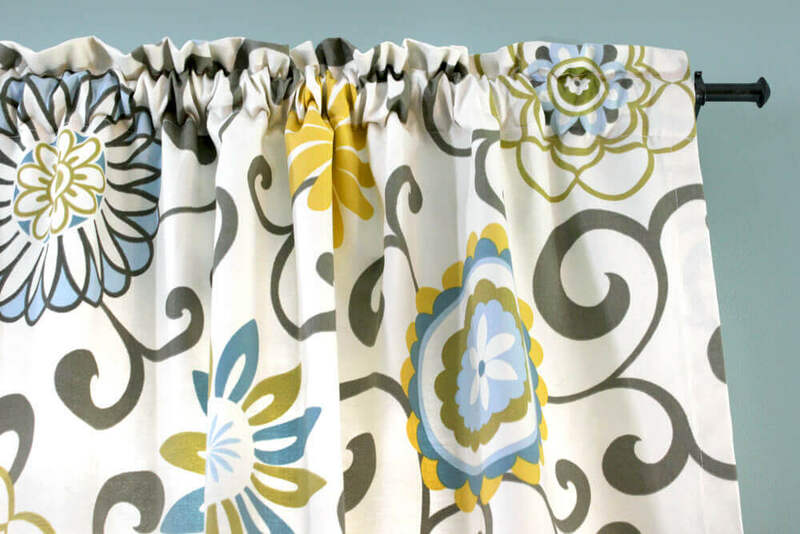 Learn how to make pencil pleat curtains. Many of our curtain tutorials are at more of a beginner level, but for these inverted box pleat curtains, we kicked it up a notch. The difference is that with professional looking curtains, you won’t see any visible top stitching on the front and more of the work will be done by hand. This takes more time, but still, any patient DIY-er can do it. Ready to try making curtains? Check out our huge selection of décor fabric. Balloon toppers valence? Any info on making one? BEST ANSWER: We do not have directions for this but will consider it for a future tutorial! I am making your roman shades, and have a couple questions. First, I fused the dowel strips on the lining side, by mistake, will this make a difference in the fininshed shade? Also, I'm using a linen fabric and not sure if I hand sewn around the dowels correctly. Because the stitches are puckering on the right side of fabric. Can you help with any suggestions? BEST ANSWER: The fabric is probably puckering because the fabric shifts when you hold it vertically after sewing around the dowels on a horizontal surface since the dowels are on the lining side. Using a line of fabric glue on the dowel pockets to bond them to the linen fabric may correct this if you can. You'd have to take out the stitches around the dowels first and reach into the opening with the blinds turned right side out in order to glue.